On Aug, 21, Cougar Athletics hosted their Annual Cougar Golf Classic at Pinebrook Golf & Country Club. This event was originally postponed due to the June flood in Calgary. The day was sunny and perfect for golf. The night ended with dinner and student athlete testimonials and prize giveaways. The emcee for the evening was two-time Olympic Gold Medalist Carla McLeod, who inspired the athletes to share funny stories that were entertaining to all in attendance. Following a summer of relaxation and celebration on the golf course, the Cougars Soccer team recently opened their new season. 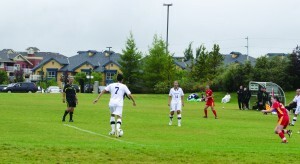 The Cougars men’s soccer squad opened up the season with back-to-back games against the Wesmen this weekend. 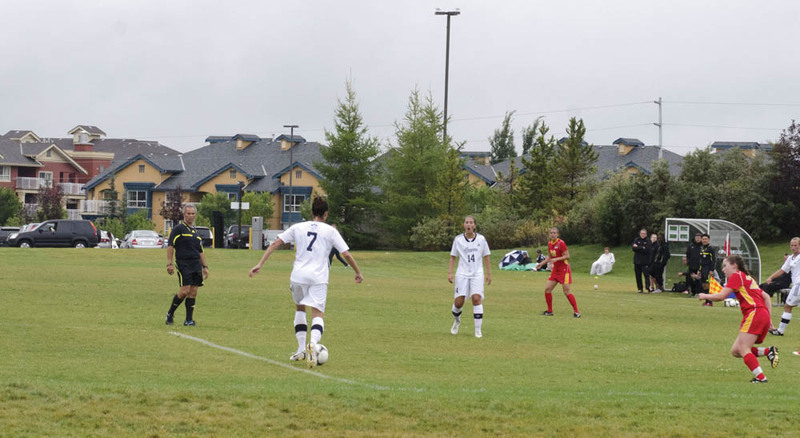 The Cougars came back to Calgary undefeated as they played to a 1-1 draw Sept. 6 and won their second game on Sept. 7, 1-0. Cody Cook buried a top corner goal past Winnipeg’s goalkeeper Tyson Farago in the 69th minute. Winnipeg had a glorious opportunity in the second half as Kenny Sacramento rang a shot off the post and the game remained scoreless till Cook’s goal. Both goalkeepers made six stops and Cougar Kamil Zielinsky walked off the pitch with a shutout. The Cougars’ record stands at 1-0-1 and their home opener is Sept. 14 against Fraser Valley, followed by Victoria on Sept. 15th.